FEATURES/SPECS This personalized billiards theme man cave sign features a racked set of pool balls set on a weathered wood background. 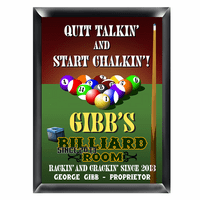 You'll add the recipient's name as the owner of the billiard room and a date that it was established. 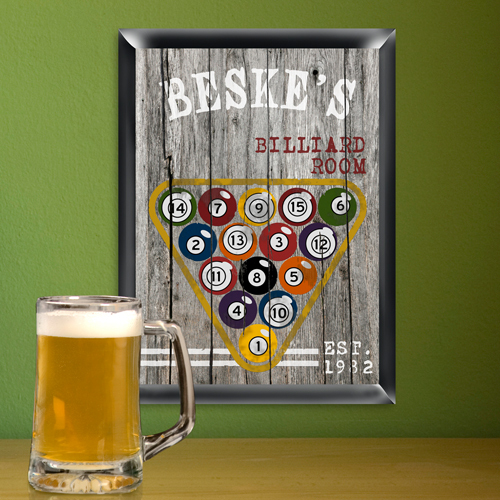 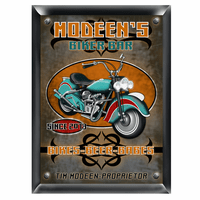 This hanging wall sign is an ideal gift for a guy or girl that just bought a pool table, which can be a hard occasion to shop for :-). 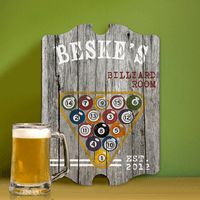 It is also ideal for housewarming or groomsmen gifts. 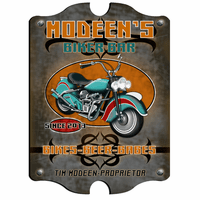 It comes with free personalization and all the hardware needed for quick hanging.